Product prices and availability are accurate as of 2019-04-20 20:07:09 EDT and are subject to change. Any price and availability information displayed on http://www.amazon.com/ at the time of purchase will apply to the purchase of this product. Join one woman's journey through pain, healing, and purpose to God's ordained husband. 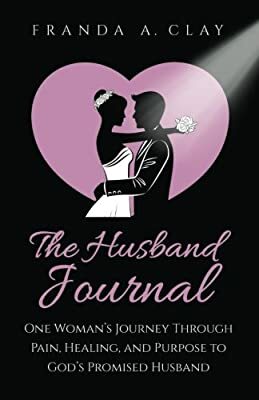 After years of trying to get it right, the author realized that her destined time to meet her future husband is in the hands of God. Travel with her as she recalls the events leading to the break-up of her last relationship that consisted of verbal and mental abuse, defiance against God’s Word, and total emotional devastation. Her unique, spiritual encounter beyond comprehension is what finally opened her eyes and stopped the abusive relationship. She has found peace and assurance of God's promise by communicating with her future husband daily thorough her "Husband Journal".